Once again it was a quiet day at Courageous! We did not catch any fish, but the kids are always excited to see the crabs- the crabs never get old with them. They love picking up the crabs to figure out if it's a boy or girl and trying to figure out what kind of crab it is. 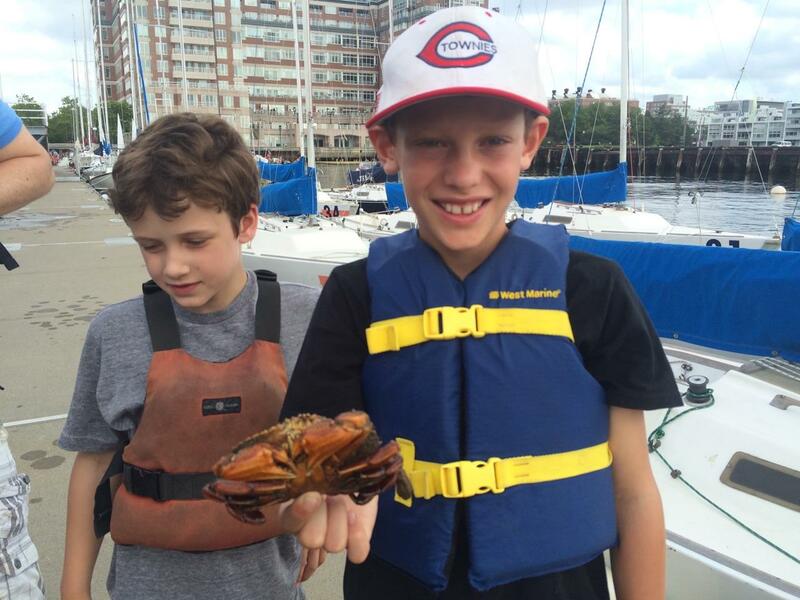 Today, we caught a really big rock crab, the campers were amazed by how big it was! 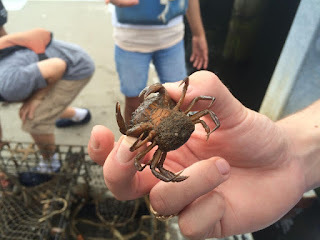 We also caught a crab that was pregnant and we released it as soon as we found out. Holding the rock crab, we called him "Crabzilla"
Even though the kids already know that the traps will be filled with crabs, they continue to get excited about seeing them every week. This is one of the reasons why I like working with kids- the are always interested in what we find!